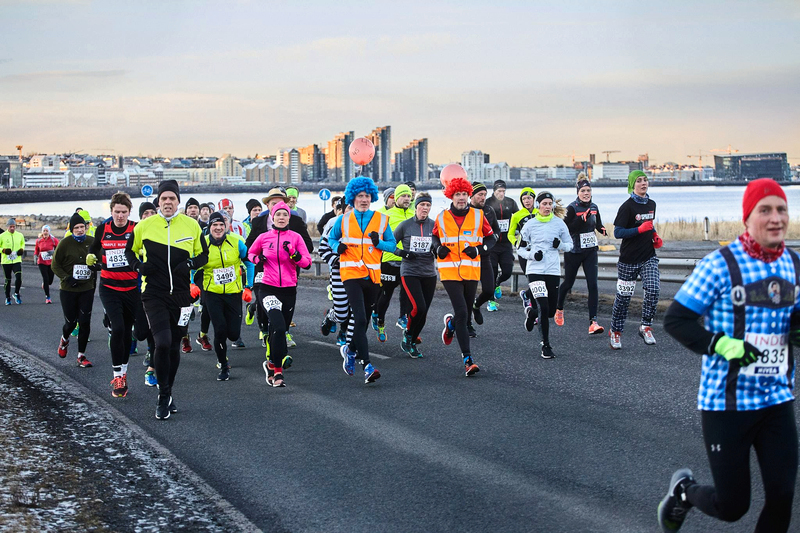 Every year the ÍR track and field club of Reykjavik celebrates the end of the year with its New Year´s Eve 10K run on December 31st. The annual 10 K run held in downtown Reykjavík attracts both elite runners as well as recreational runners of all ages. It has become a tradition for runners in Iceland to end the year with this fast course 10K run. Many participants dress up and run in costumes and a special prize is awarded to the most unique costume. This year there will also be a 3 km fun-run. Many runners from abroad participate in this 10K run and then enjoy the unique bonfires and spectacular fireworks in Iceland on New Year´s eve.